Throughout an illustrious basketball career at Wisconsin Ethan Happ has received numerous accolades from making a 2017 All Big Ten Team with fellow Badgers Nigel Hayes and Bronson Koenig to winning the “2018 Last Man on a Sinking Ship Award” after these players left. But for years it has perplexed Badger fans how this otherwise perfect human being could stand at the free throw line and shoot two bricks — until now. As it turns out, Ethan Happ’s shooting abilities were stolen in 1996, the year Happ was born and the year the Monstars stole the basketball abilities of the NBA’s top players. While the Monstars returned powers to former NBA greats like Charles Barkley, Larry Bird and Patrick Ewing, they never bothered to return Happ’s Steph Curry-esque jump shot. Once Happ discovered this he gathered his teammates together to challenge the Monstars to return his shooting abilities. The Badger’s high flying offense scored a season high in points as they crushed the Monstars in a 35-29 shootout. 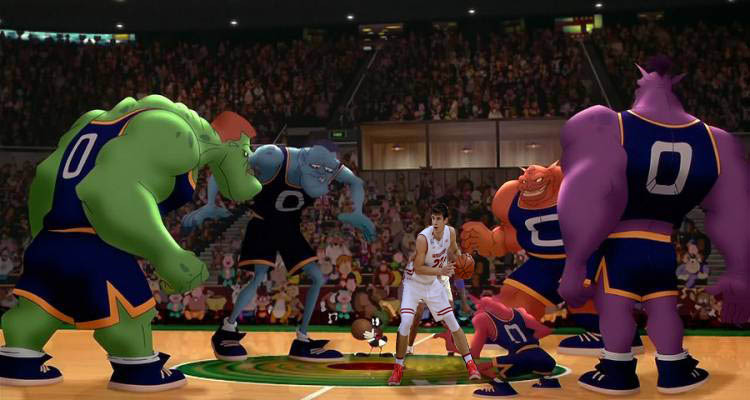 When asked about the victory Happ dismissed the notion that the Monstars were the Badgers toughest opponent this year. The biggest surprise in this contest may have been Brad Davison playing just weeks after undergoing shoulder surgery. Davison fought through a line medical physicians advising him against the return but ultimately reached the court to be the second leading scorer behind Happ in the game. Head coach Greg Gard also seemed thrilled that Happ’s abilities were returned and commented on the impact this should have on the Badgers next year. Barring any other intergalactic opponents, the Badgers and sharpshooter Ethan Happ will open up their new season in November against some non-conference team that you’ve never heard of before.